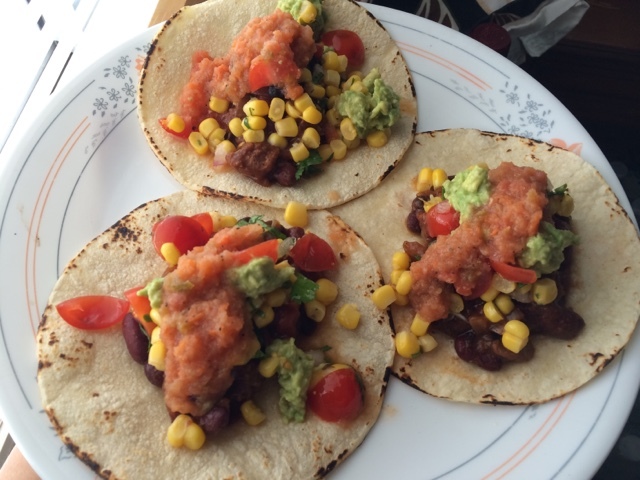 The Vegan Mouse: Tex Mex Tacos. These were yummy! I made a bean and tvp chunk chili yesterday and had a lot leftover. Today it became my taco filling. Topped them with corn salsa, guacamole and salsa, all homemade. I love turning leftovers into different meals! They look delicious! Soy chorizo tacos and vegan Bounty bars! Vegan mini chocolate pudding pie.